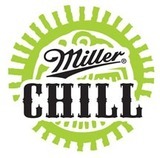 Miller Chill, light beer with natural flavors. Chelada style. Inspired by a Mexican Recipe with lime and salt.